We are proud to announce the admission of Brent Thompson to the firm as a unitholder. 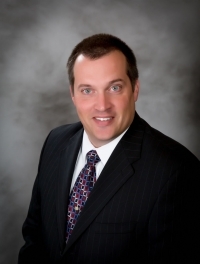 Brent joined our Accounting business unit, Canon Capital Certified Public Accountants, in 1998. Brent is a Certified Public Accountant (CPA) and earned his Bachelor of Business Administration degree from Temple University. In addition to holding his CPA designation, Brent also holds Certified Management Accountant (CMA) and Chartered Global Management Accountant (CGMA) designations. Brent’s role as a Manager on the CPA team includes providing management advisory services, tax and general business planning, tax preparation, and financial statement preparation and review services for our numerous small-to-medium-sized business clients. Brent also shares Canon Capital’s commitment to the community. He has served on the Economic Restructuring Committee of Souderton-Telford Main Streets and the Stewardship Committee at Keystone Fellowship. He currently sits on the board of the Indian Valley Chamber of Commerce, serving as Treasurer. We are proud to announce the admission of senior investment advisor Chuck Porter, Jr. to the firm as a unitholder. Porter serves as a Senior Investment Advisor specializing in serving high-net-worth individuals and families. 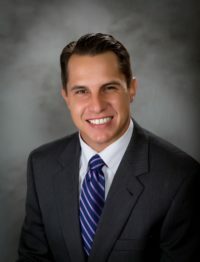 Porter, who joined Canon Capital Wealth Management in 2006, earned his degree in Economics with an emphasis in Personal Financial Service from Widener University. An Accredited Investment Fiduciary, Porter has also earned a Certificate in Financial Management for the Family Office from Pepperdine University’s Graziadio School of Business and Management. Part of Porter’s success is his commitment to the community, where he makes the time to coach Souderton Area Youth Football (SAYFA), Souderton-Harleysville Youth Basketball Association (SHYBA), and baseball; as well as serve as a member of the Calvary Church Count Team. Canon Capital Wealth Management is a business unit of Canon Capital Management Group, celebrating 30 years of providing a single source of financial and business services.